Located off of Immokalee Road just east of I-75, Cypress Woods Naples is a bundled golf community. Cypress Woods offers numerous lifestyle choices including condominium carriage homes, single-family homes, and garden condos. The country club membership is included with the purchase of a home. Cypress Woods features a Gordon Lewis designed 18-hole par 71 championship golf course stretching 6330 yards from the tips. 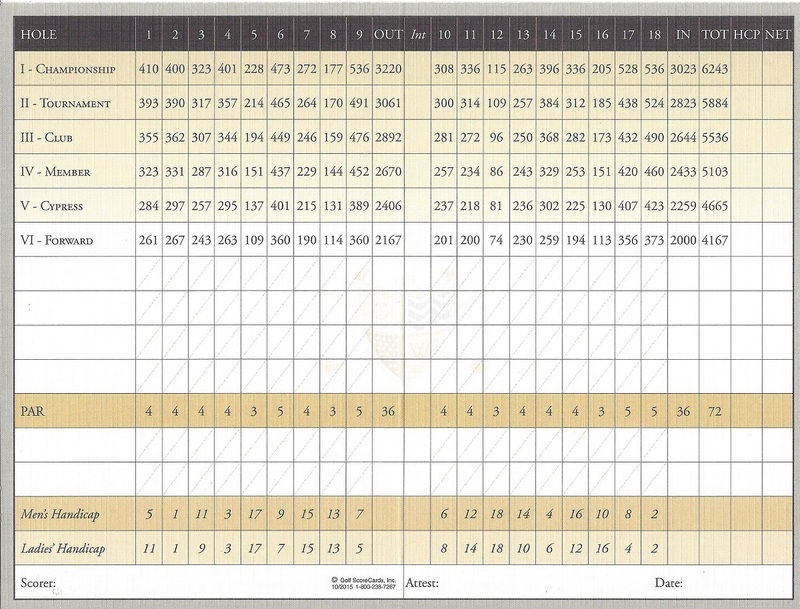 The course is rated at 71.7 and has a slope of 136. Opened in 1998, the course is challenging but multiple tee placement makes it very friendly. Cypress Woods integrates the residences, the course, and the natural environment. Lush, rolling fairways with manicured greens and white sand bunkers mingle with flowering vegetation and tropical landscaping. Freshwater lakes and flowering marshes are found throughout the community and the course. The Pro Shop serves as the nerve center of the golf operation and is fully stocked with golfing apparel and equipment. A dedicated staff a PGA professionals provide everything you need to improve your game. In addition, there is a driving range and a putting/chipping green. The beautiful clubhouse offers stunning views of the golf course. Members are offered casual and fine dining at the Restaurant and the Grille Room. The tennis center offers four lighted Har-Tru courts and a certified USTA professional staff. Cypress Woods offers a heated resort-style swimming pool and a heated Olympic pool and spa. The modern fitness center features many exercise activities and free weights. There are biking/jogging paths throughout the community. 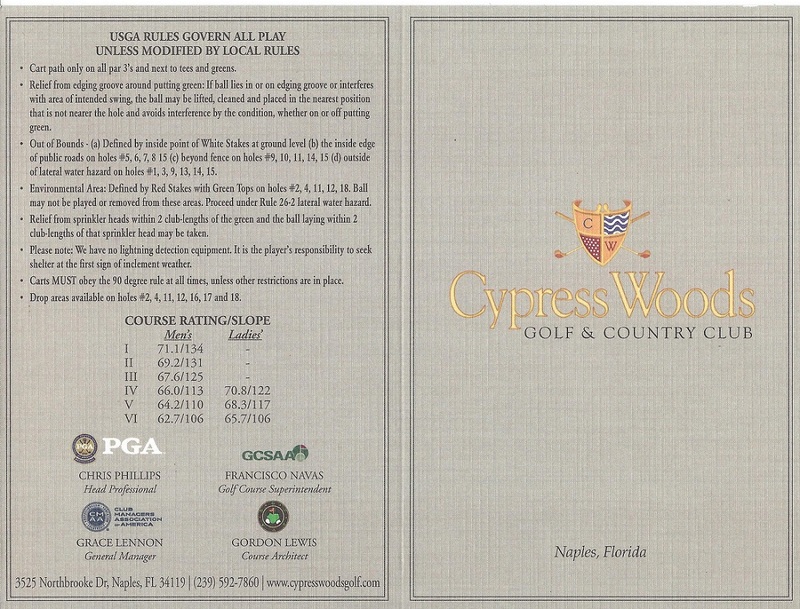 For additional information about Cypress Woods Naples FL, please complete the form below! I or one of my team members will respond to you within one business day.